MYCONTENT - Dubai International Content Market, the leading international entertainment content and media marketplace in the MENA region, is pleased to announce our Media Partnership with PRENSARIO International, a professional magazine, who is aiming at the decision makers on TV stations, pay TV systems, program producers and other television professionals, advertisers, managers of advertising agencies, government officials, bankers, lawyers, consultants and others. One of the most exciting aspects about our partnership is to connect South and North America with companies from the MENA region and help them monetize the value of their work. Together, with the capability and common passion to offer an exceptional customer experience, we will accelerate the connectivity between these regions in all matters of content, experience exchange and possible co-productions. 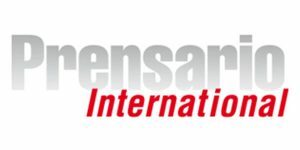 You will find PRENSARIO International magazine displayed in our Media rank section on 9 - 10 December 2018 at Jumeirah Beach Hotel Conference Centre, Dubai.